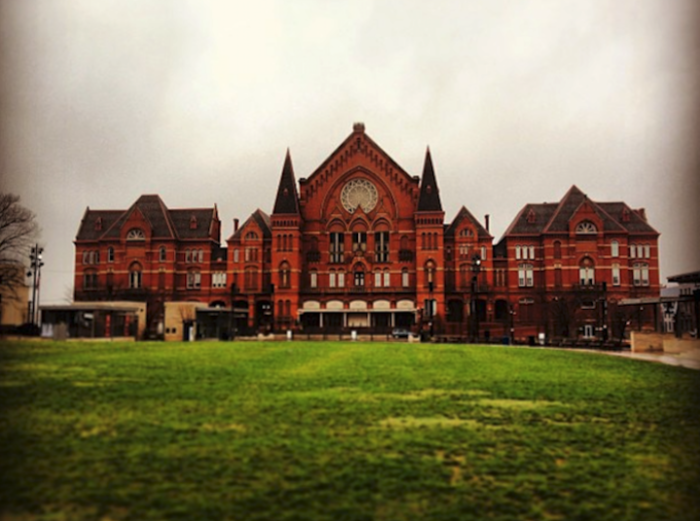 If you love ghost stories and haunted tales, then Cincinnati is a great place to be. 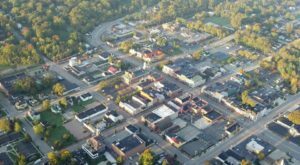 Our history-filled city is also packed with countless stories creepy happenings, from ghostly apparitions to mysterious sounds heard in the halls of an old building. 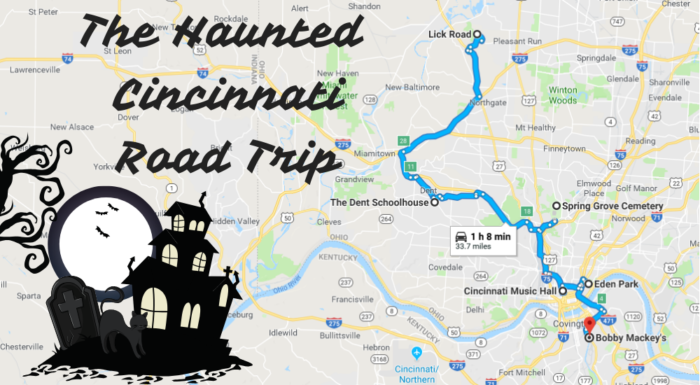 There are many places throughout the Queen City that are said to be haunted, so if you are looking for a thrill, embark on this haunted road trip that will lead you to the scariest places in Cincinnati. If you'd like to adapt the map, add other spooky destinations, or alter the route, you can find the customizable map here. Lick Road is a short, winding road located northwest of Cincinnati off of Kemper. 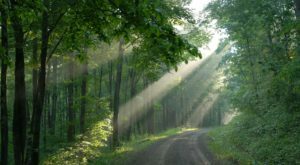 This road is the source of a famous ghost story about a lady named Amy. Legend has it that Amy has not left the area after her supposed murder by her boyfriend in this area. 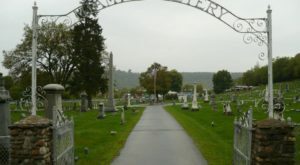 While the surrounding area is private property, many have claimed to have met Amy in ghostly form when they visit this haunted Cincinnati street. Learn more about this haunting destination in our previous article here. The Dent Schoolhouse is a popular haunted house on Harrison Avenue on the west side of Cincinnati, but many don't realize that it's more than just a cool attraction. 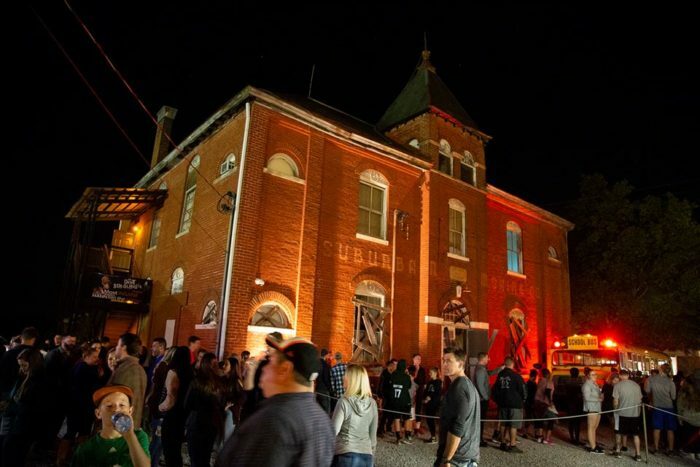 The building was a school that opened in 1894, and there are many terrifying happenings that are said to make this a real-life haunted house. Learn more about the story of this scary school and how you can visit on its website here. 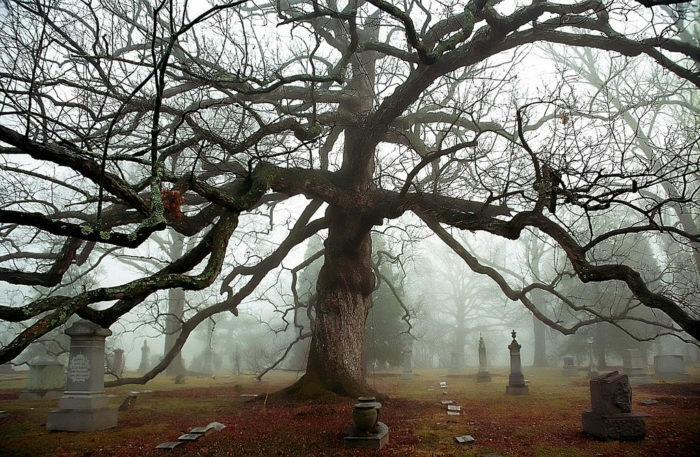 Cemeteries are the setting of many, many ghost stories, and Spring Grove certainly has a few tales to tell. With a lengthy history and plenty of creepy-eyed sculptures decorating the landscape, it's difficult to walk the grounds and not feel a ghostly presence. 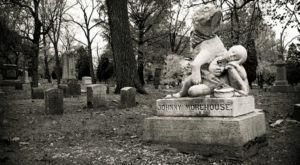 Learn more about Cincinnati's most beautiful - and haunted - cemetery in our previous article here. 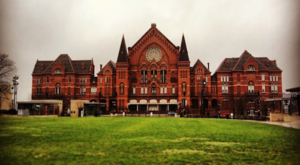 Music Hall is quite possibly the most beautiful and most recognizable building in Cincinnati, and it's also the most haunted. 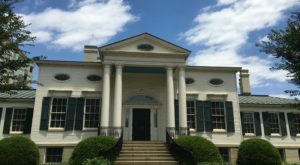 Built on land that was once an orphanage and a gravesite, along with a long history, it's no wonder this eye-catching performance hall is rumored to be filled with ghostly figures and haunted tales. Learn more about the haunted tours of Music Hall in our previous article here. 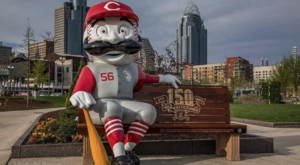 Eden Park is another popular historical site in Cincinnati that's filled with beauty... as well as plenty of creepy stories. 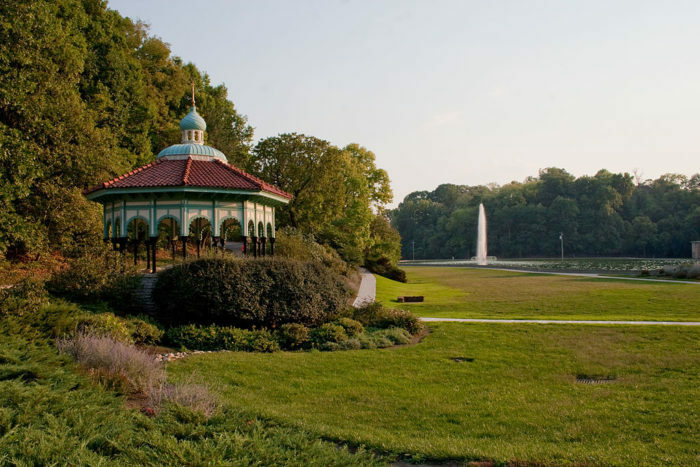 The lovely gazebo is the source of the most popular story, thanks to the untimely death of Imogene Remus, which happened right in this very spot. Read all the details on this sinister ghost story in our previous article here. 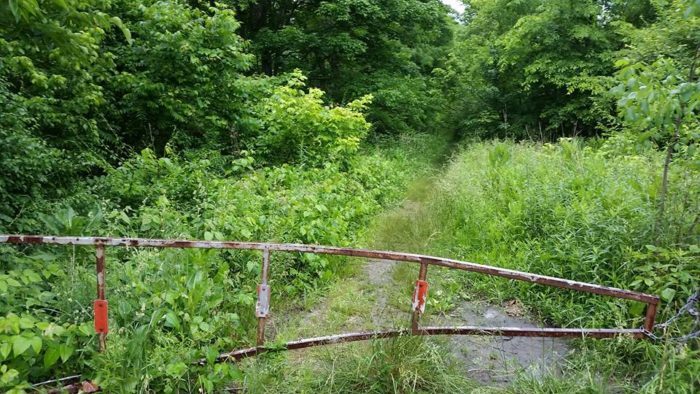 Did you know that the gate to hell is supposedly located in a bar in Northern Kentucky? 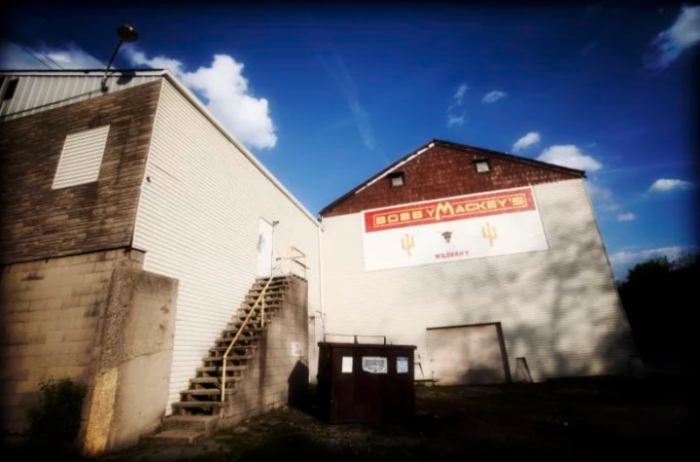 Bobby Mackey's has been around in some form in the small town of Wilder since 1850 and the amount of creepy stories that have come from this place is terrifying. From multiple murders to the ghost stories that are still told today - visit for the live music, bull riding, and a drink or two - if you dare. Find out more about this legendary haunted destination in our previous article here. 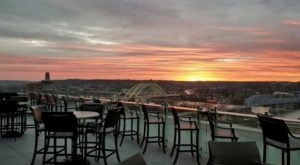 Given that Cincinnati is a such a great town, it’s no wonder spirits would want to stick around! What do you think of this scary road trip through our city? What other places would you add? Let us know in the comments and tag someone who is brave enough to go on the trip with you.